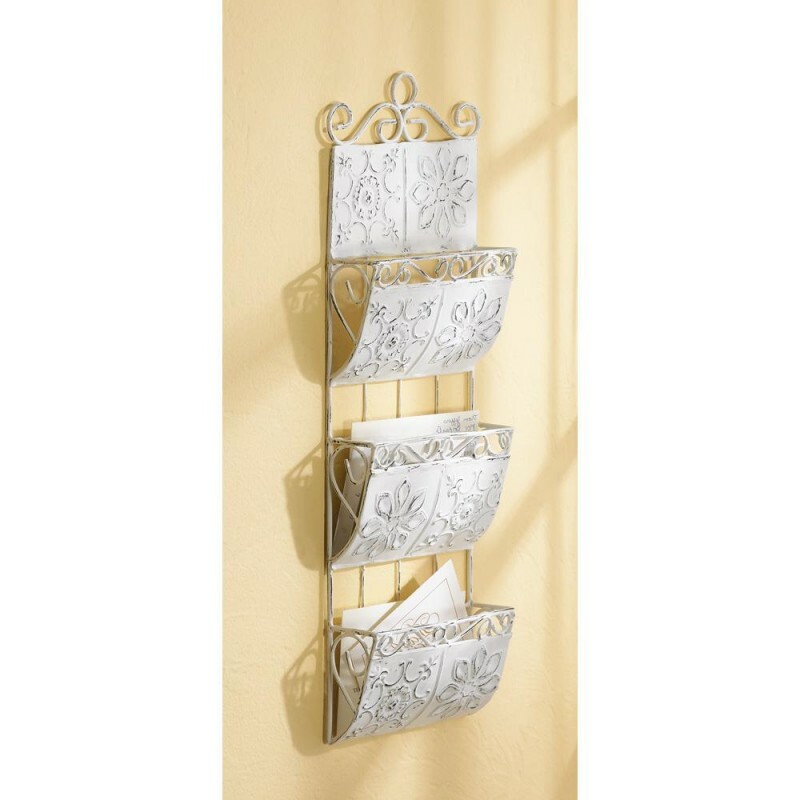 Shabby chic letter holder decorated with three pockets resembling tiles. 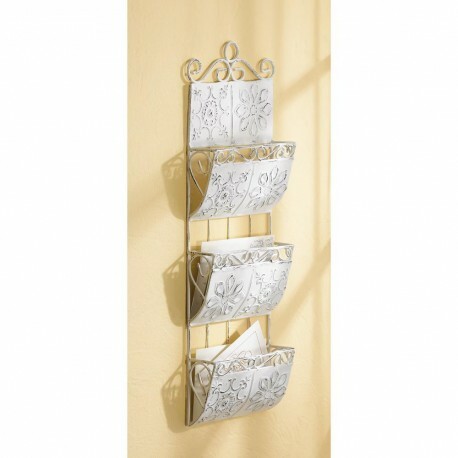 Great for your mail and assorted papers! Distressed white metal. 23 1/4" long x 7 3/4" wide; 2" deep pockets.